No. 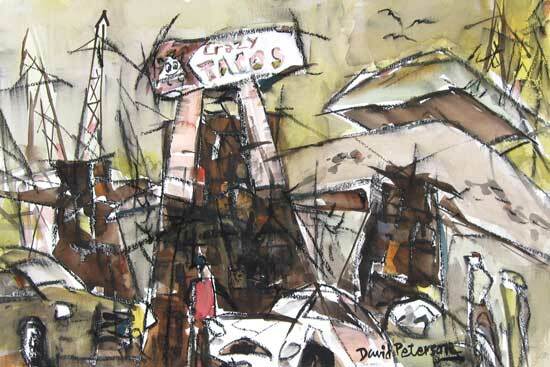 845, "Crazy Tacos", You know where this is!. March, 2007, Watercolor, charcoal, 22" x 15". Available from the artist, $400.